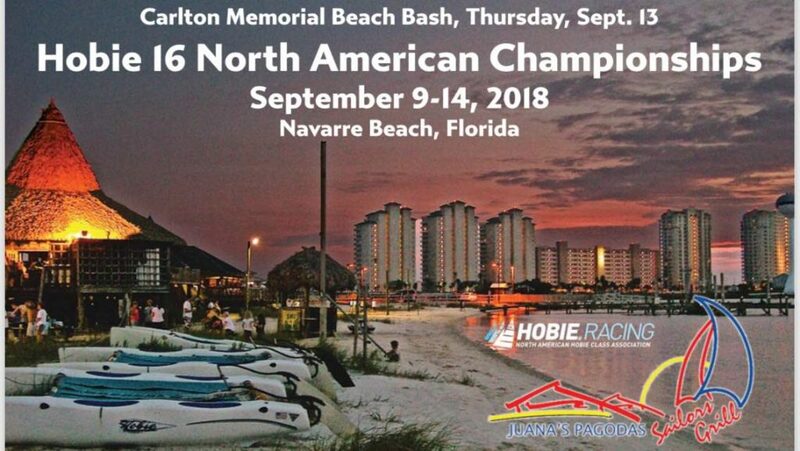 The Hobie Association of North American have announced the Hobie 16 North American Championship 2018 will be sailed at Navarre Beach, Florida. Held the week of Sept 9-14, 2018 directly following Juana’s Good Time Regatta at the same location. This event will coincide with the 20th Anniversary of the passing of Carleton Tucker and will be referred to as the Carleton Tucker Hobie 16 North American Championships. This event is being hosted by Hobie Division 15 with Hobie Fleet 35 and 178.